Since 1887 we’ve been setting the standards of what gets you out there looking good and riding happy. From sketching the initial designs to getting in the saddle, we’ve never wavered from our commitment to spreading the joy of pedaling a bike. You’ll find us cruising over to our favorite spot to watch the sunset. Riding with our kids to a play date. Hopping into the bike lane to take the long-cut. Filling our panniers with cocktail fixin’s and cruising over to the party. We’re right there with you commuting to work and sitting beside you for that happy hour pint. And like you, we think a bike is more than a tool. It’s also a reflection of our personal style. We are city-dwellers, DIYers, microadventurers, pet people — but first and foremost, we are people who love the ride. Are you with us? 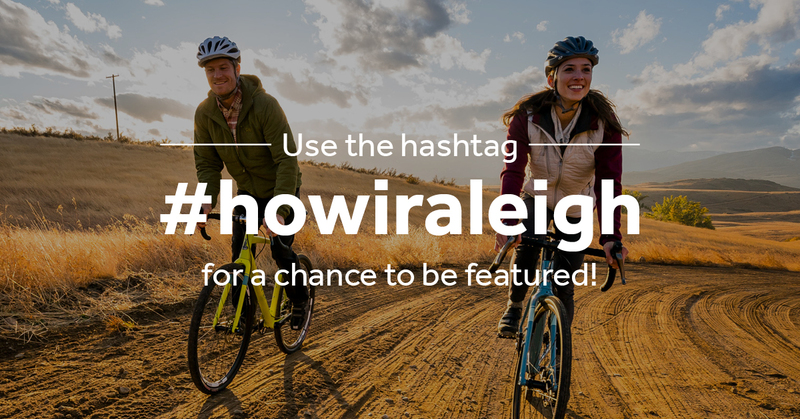 Share #howiraleigh photos on Facebook and Instagram!